CRISPR up at the Montclair Art Museum, opening soon! Last year, I developed a collaborative project with Diana Palermo, an artist with a studio around the corner at Index Art Center. 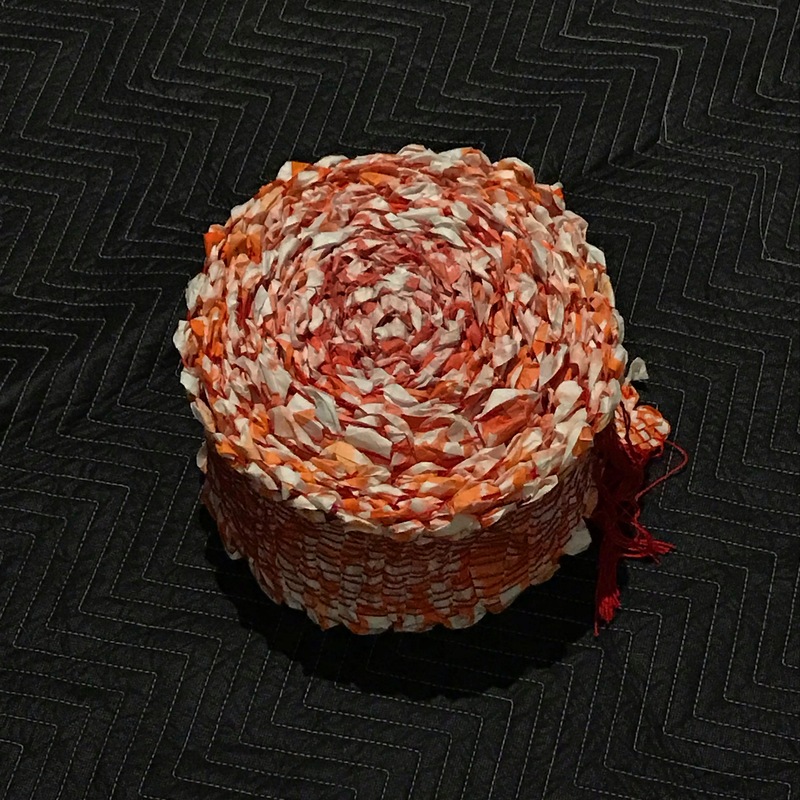 The result is a set of modular installation works that were woven on a floor loom and inspired by the contemporary genome editing process CRISPR. CRISPR technology was first found in nature in specific bacteria that house small snippets of DNA sequences of viruses that have attacked the bacteria. They use the saved DNA sequences to guard against attacks from similar viruses. The term CRISPR is an abbreviation of Clustered Regularly Interspaced Short Palindromic Repeats. This phrase is considered throughout the process of these installations. We collaborated on a systematic process of creating large-scale weavings. 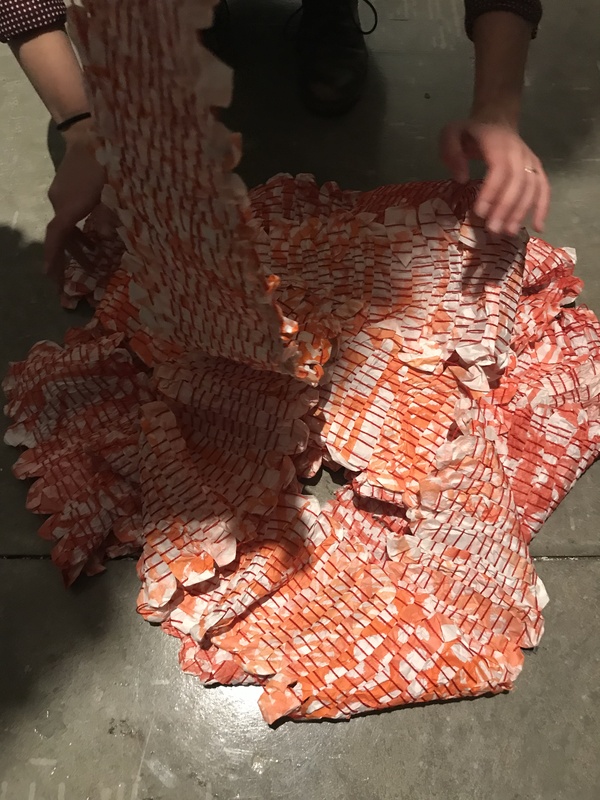 By constructing, deconstructing, and reconstructing the paper network, our collaborative process evinces themes of methodical repetition, structural editing, and materiality. This installation also lies in conversation with the disparate elements of our respective studio practices. 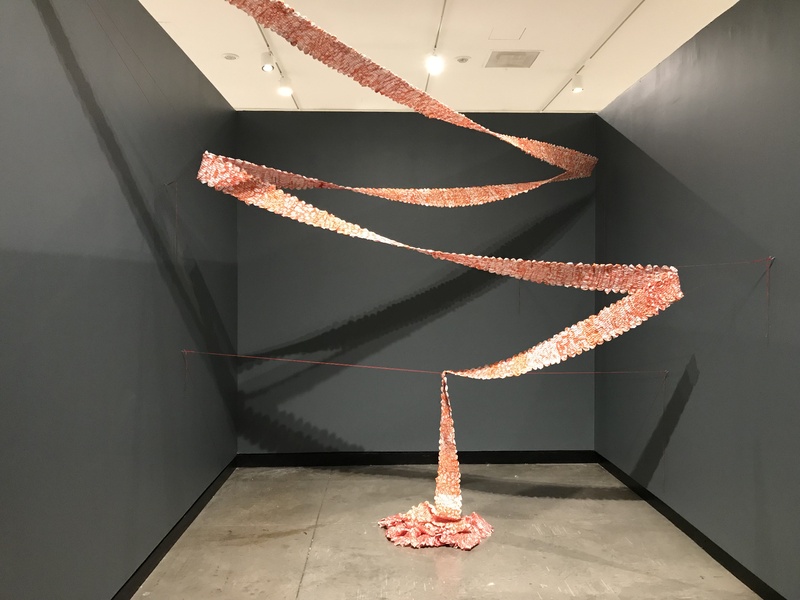 The breakdown of each paper and fiber strip leads to the dematerialization of form, followed by its slow mending and rebinding. This blurs the line between paper and fiber processes, erasing intention of each original drawing and recoding the imagery. CRISPR was originally exhibited at Index Art Center main gallery in March 2018. 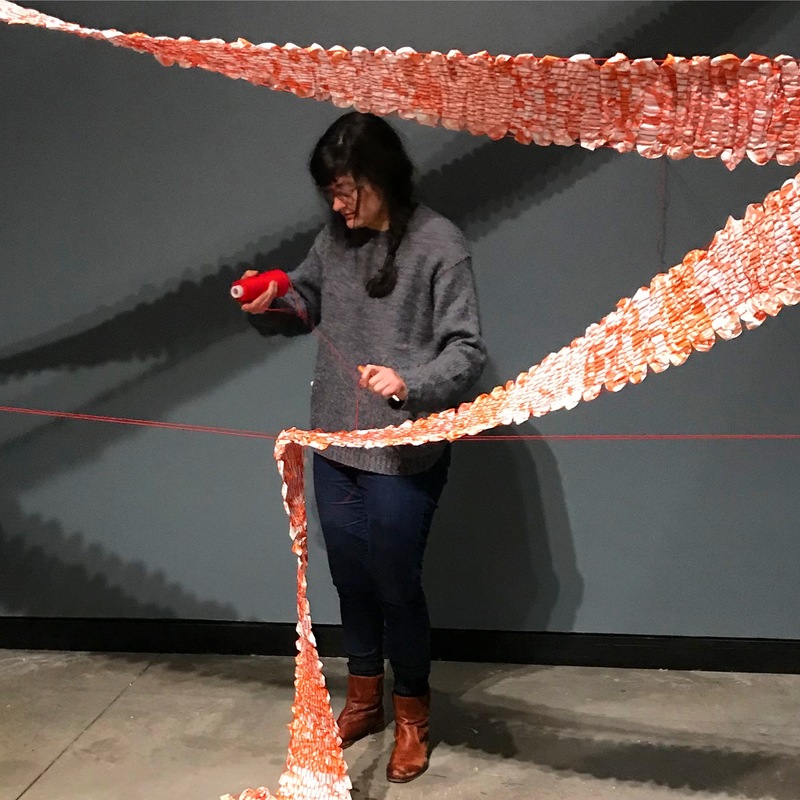 We were excited to re-work the installation for a dedicated space in the gallery at the upcoming show New Directions in Fiber Art at the Montclair Art Museum in Montclair, NJ.